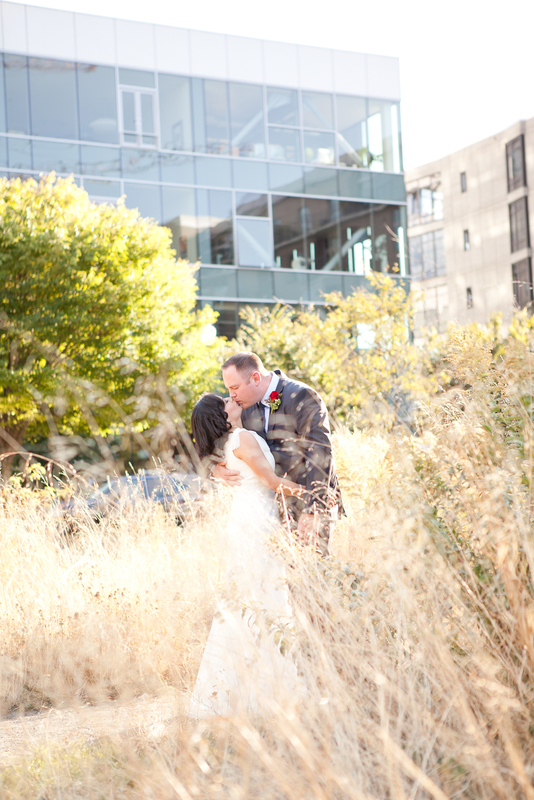 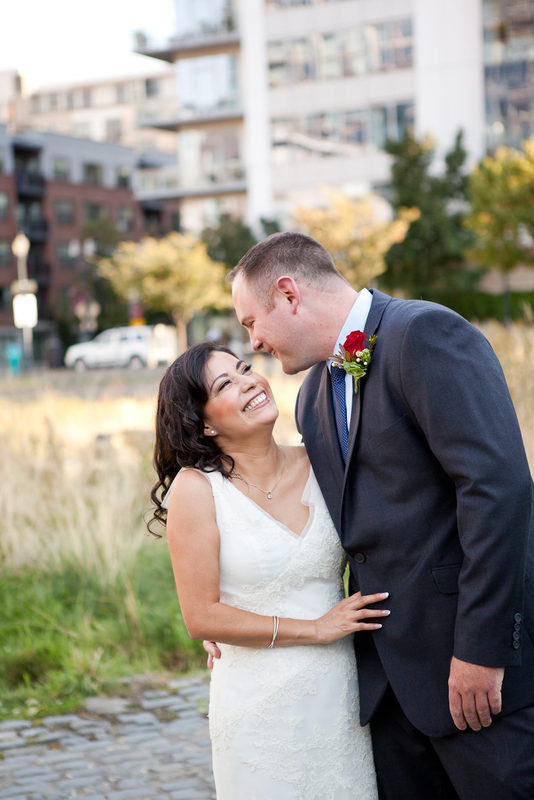 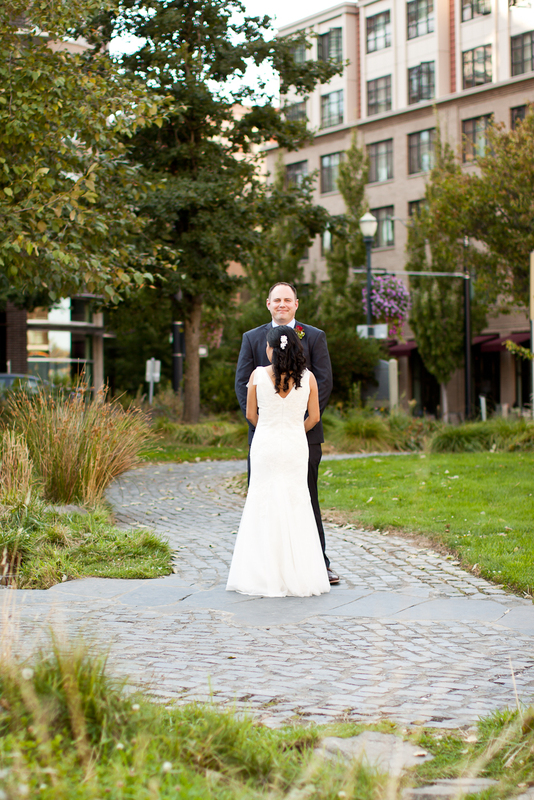 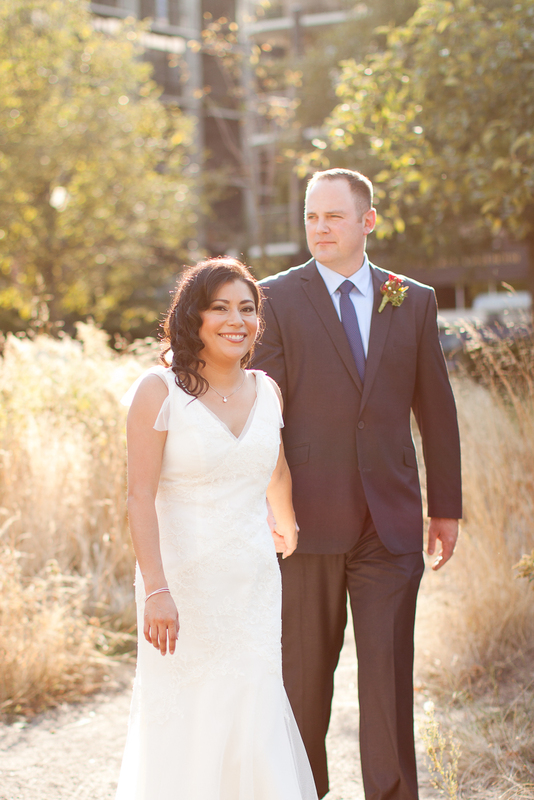 I met with Elida and Derek at Tanner Springs Park in Portland’s Pearl District before their wedding ceremony just as the late afternoon sun was beginning to get lower in the sky. 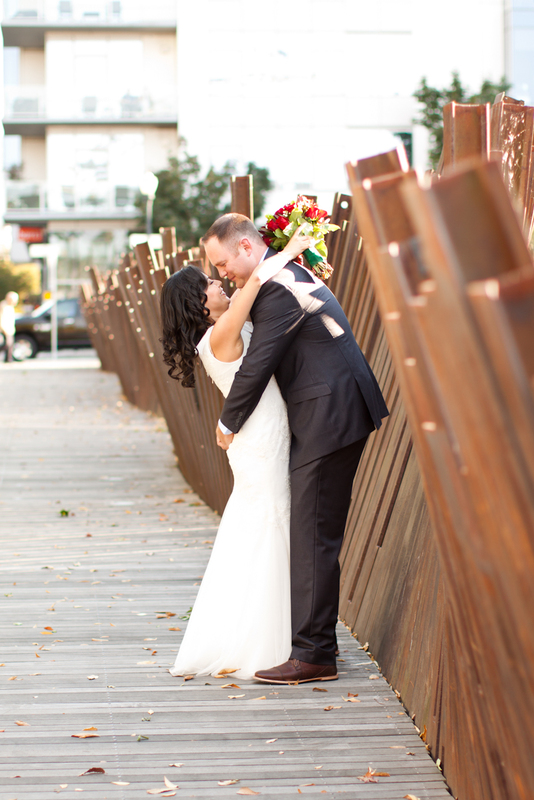 We were able to take lots of pictures in and around the park, including on the boardwalk and near some nice looking architectural features in the neighborhood. 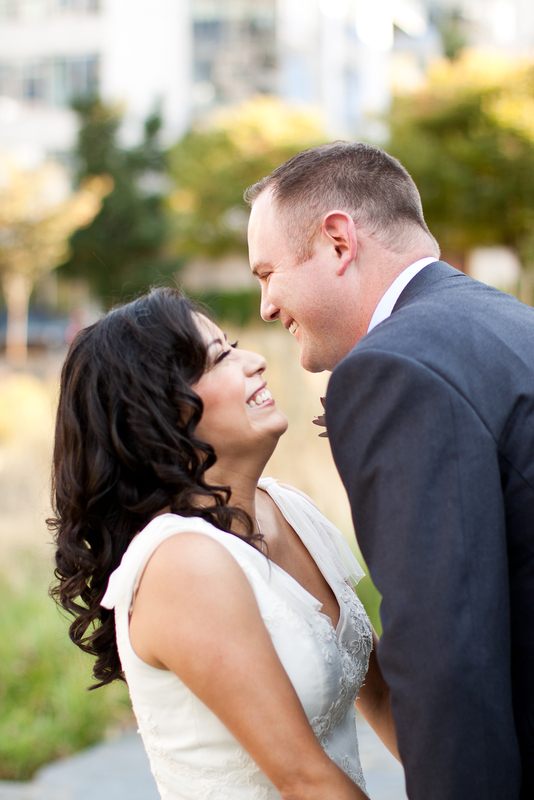 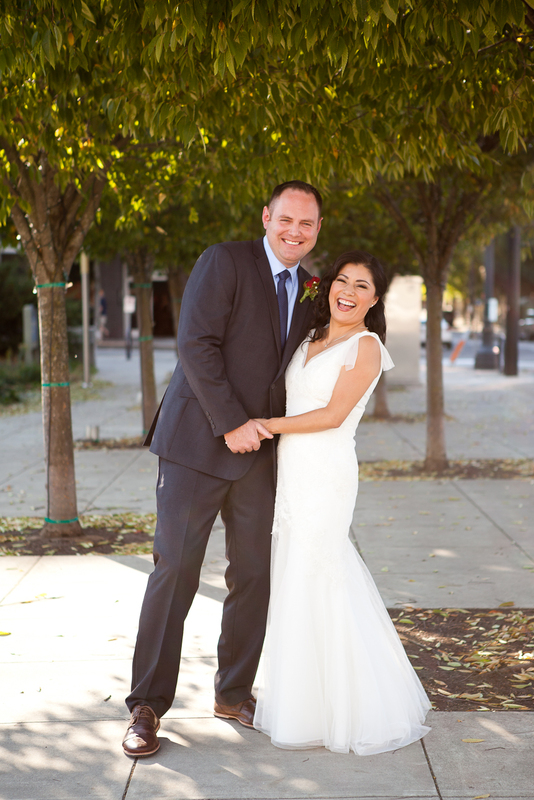 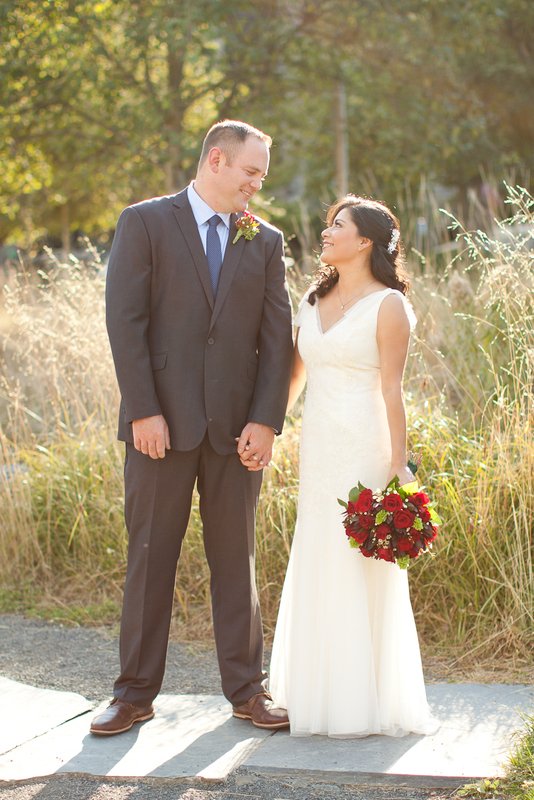 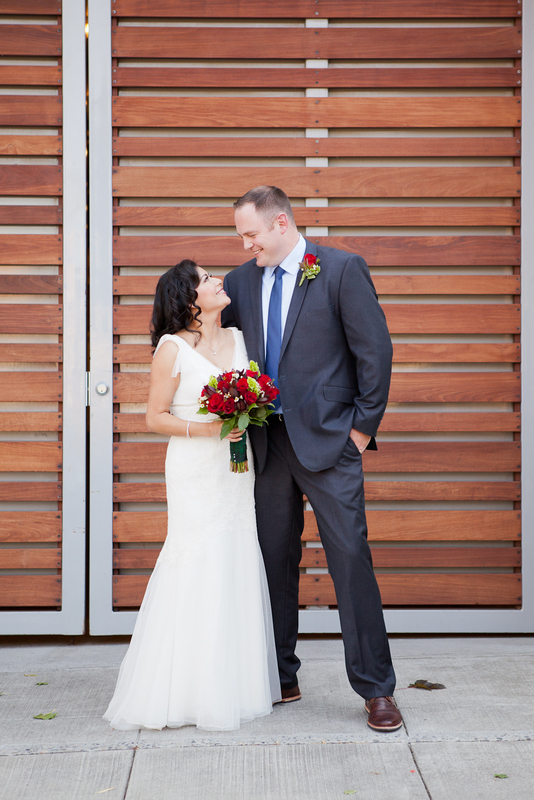 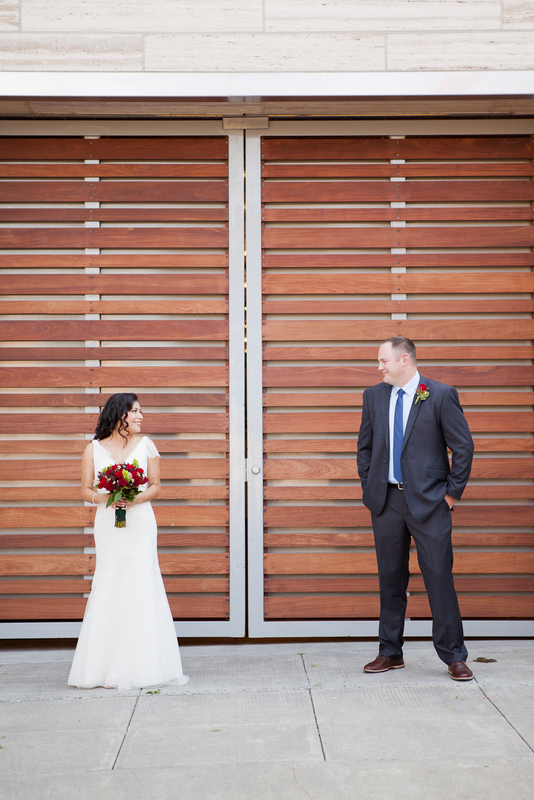 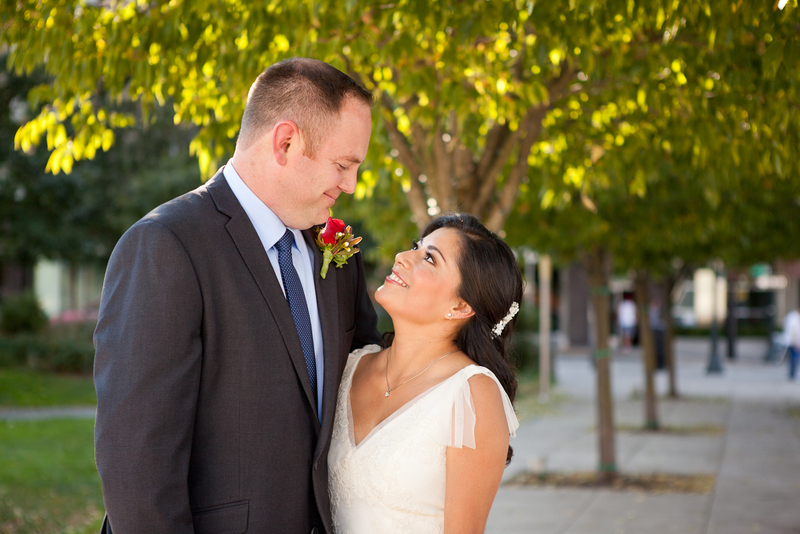 I couldn’t keep these two from smiling at each other (but who needs to stop smiling on their wedding day anyhow! 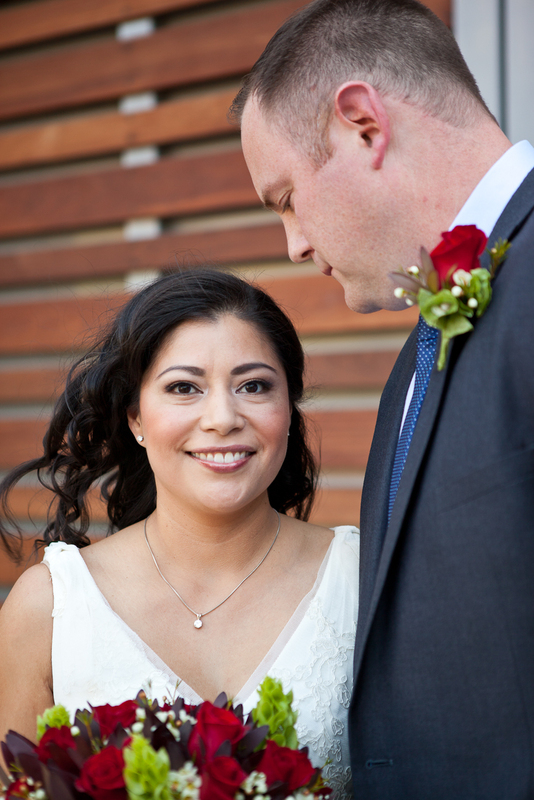 ), Elida looked just stunning in her white gown with her hair curled and pinned to one side, and Derek looked handsome in his navy suit. 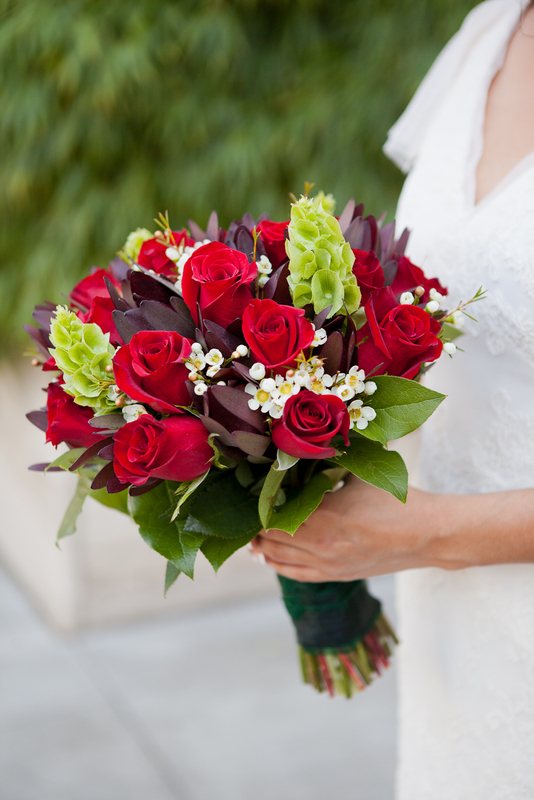 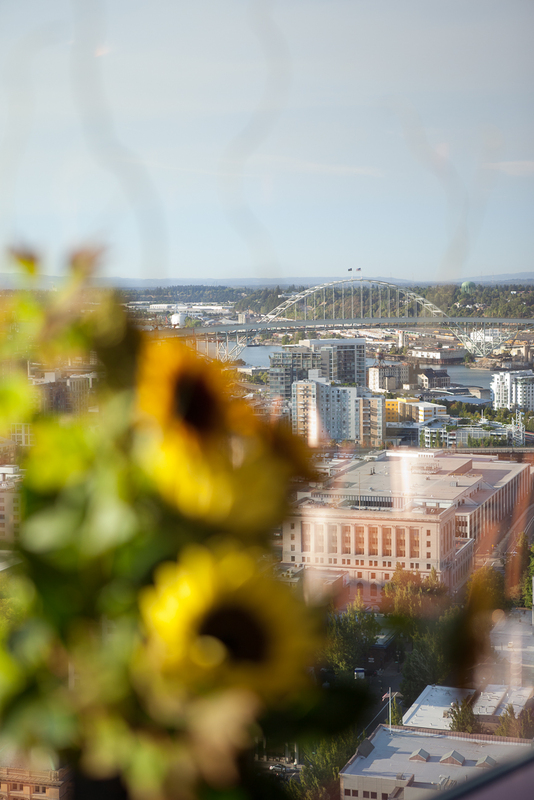 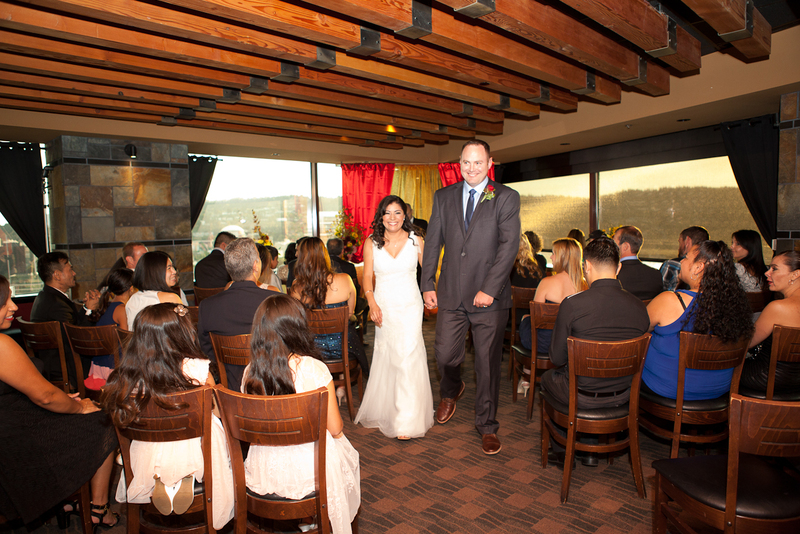 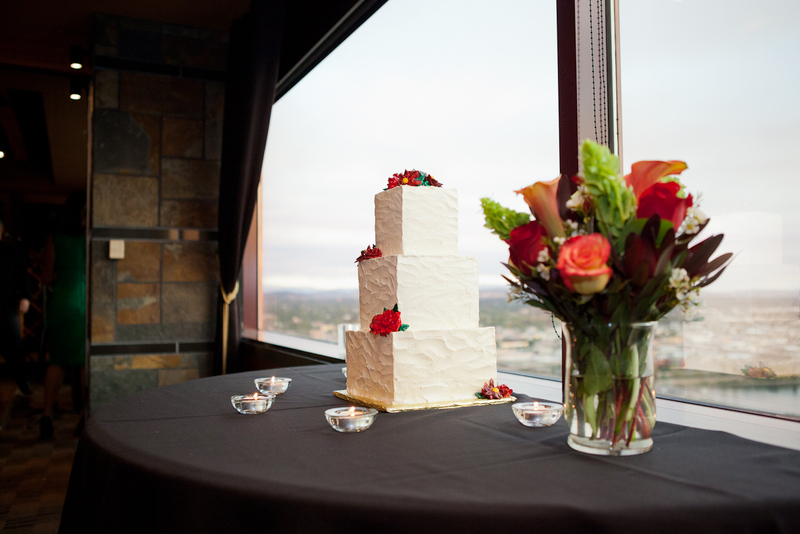 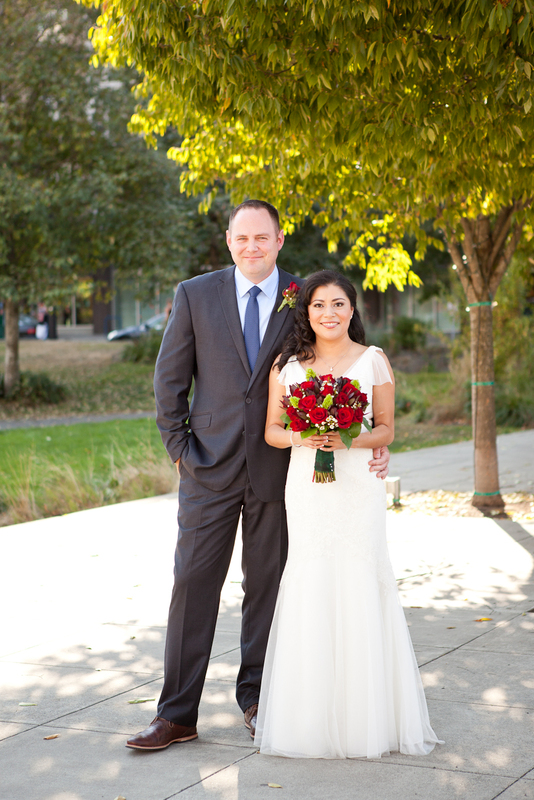 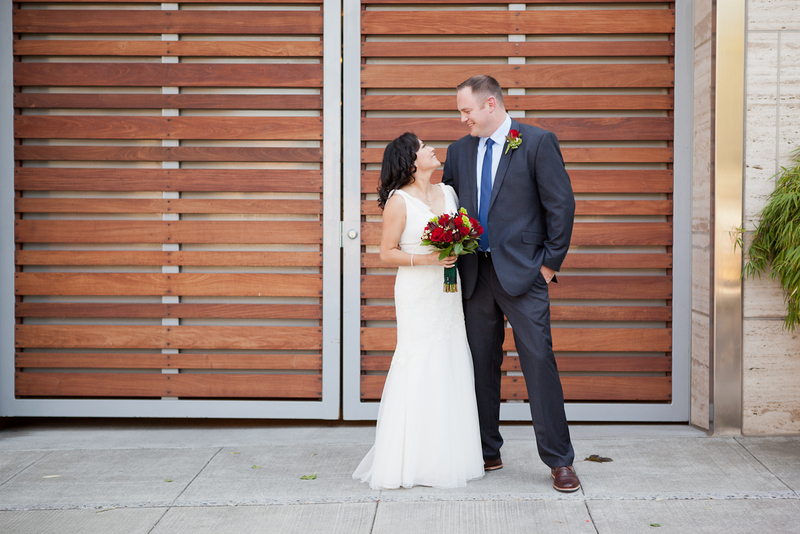 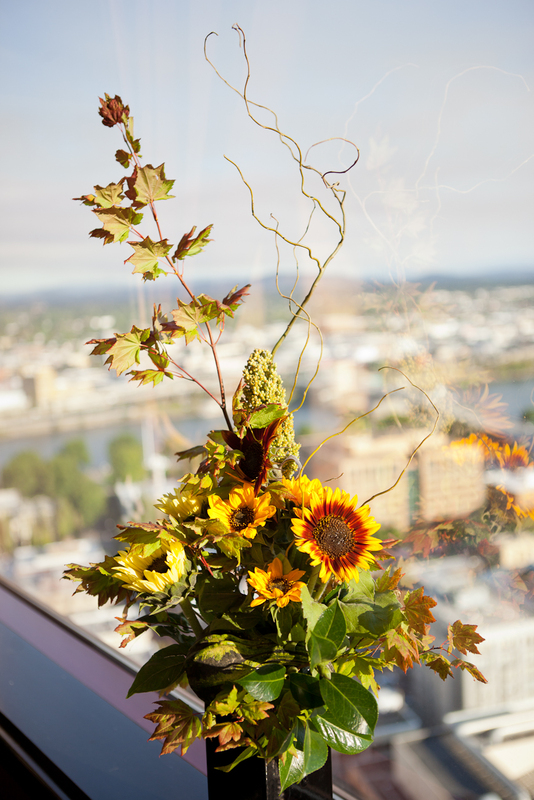 After our quick photo session we headed over to the Portland City Grill – way up on the 30th floor with gorgeous views of the Portland skyline, for their ceremony and reception. 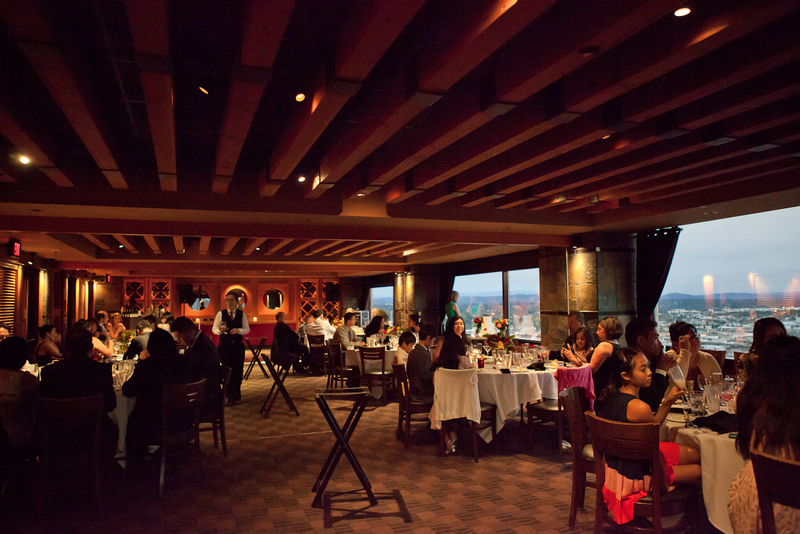 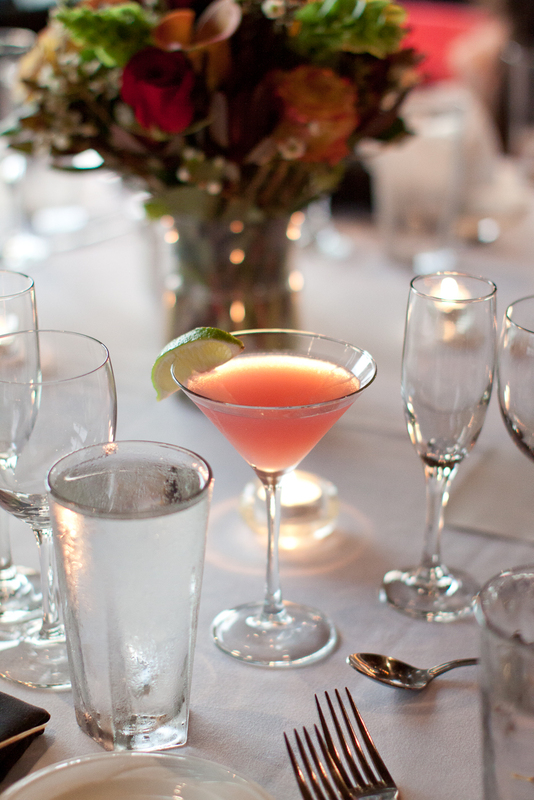 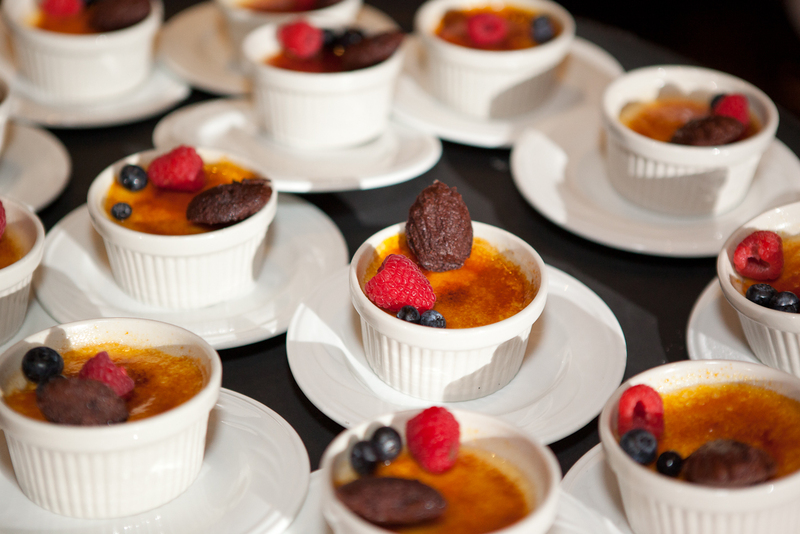 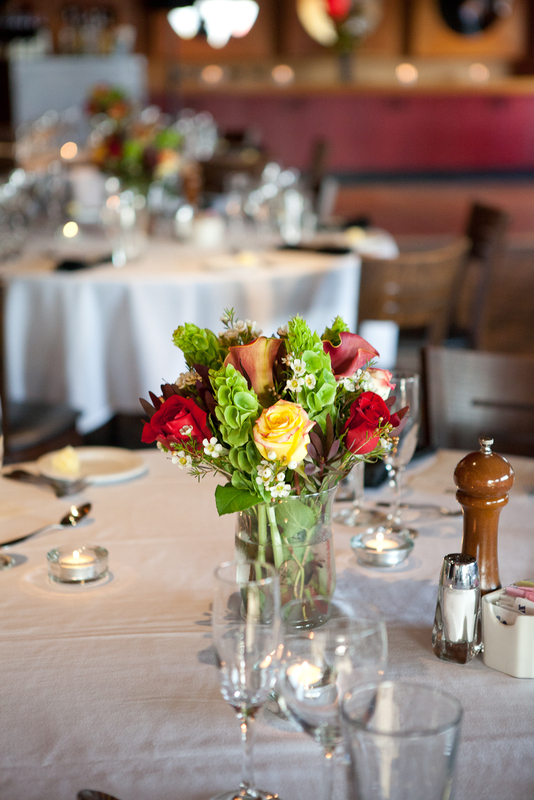 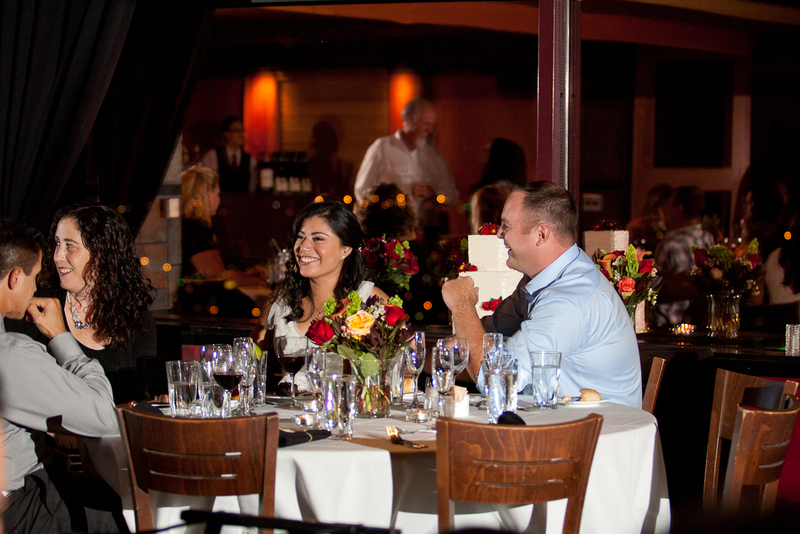 Guests ate and drank and visited with one another as the sun set and the city began to light up against the night sky. 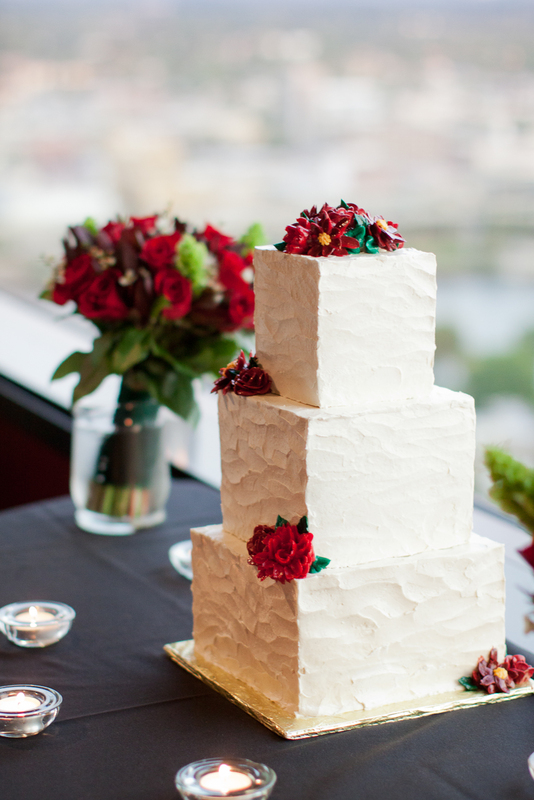 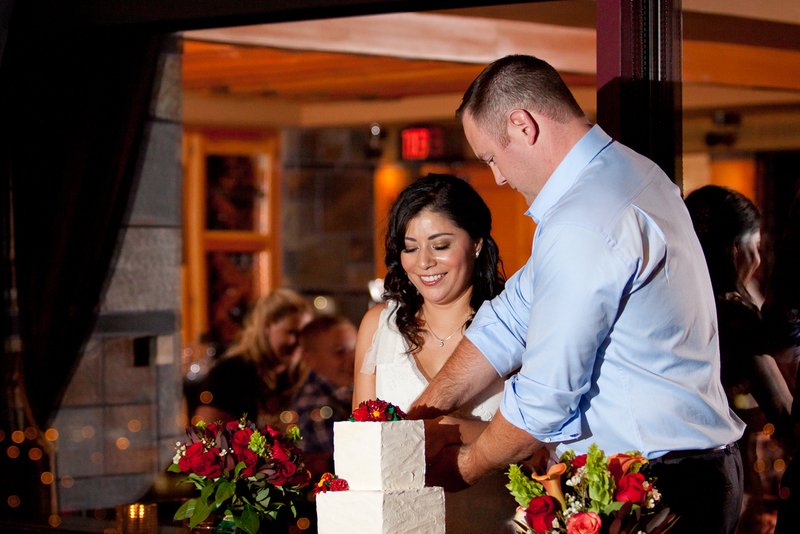 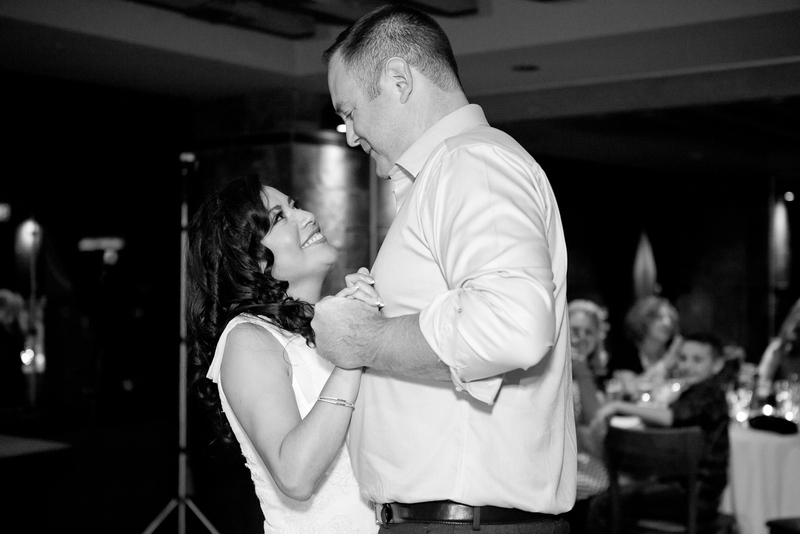 Just as evening really set in, they had their first dance, and afterwards fed each other bites of their gluten-free wedding cake. 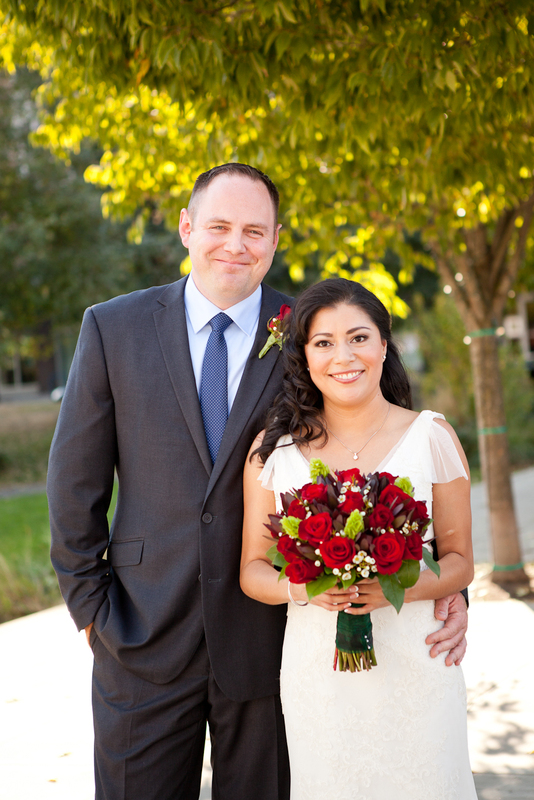 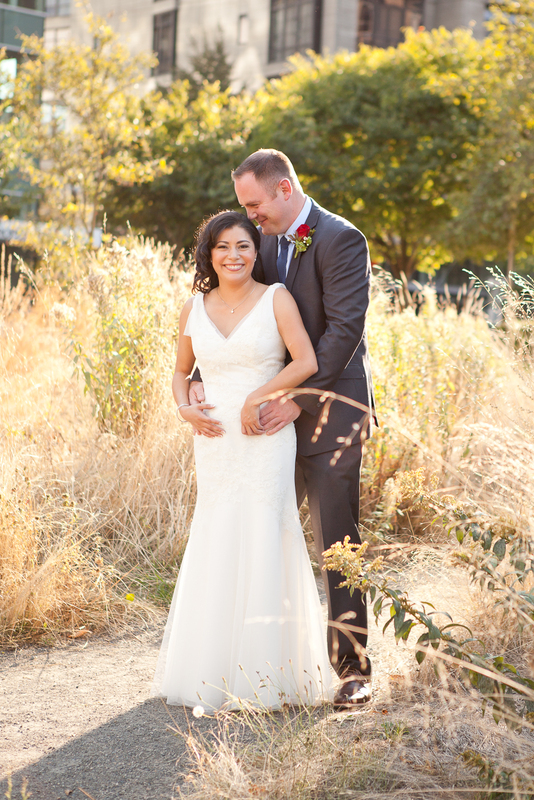 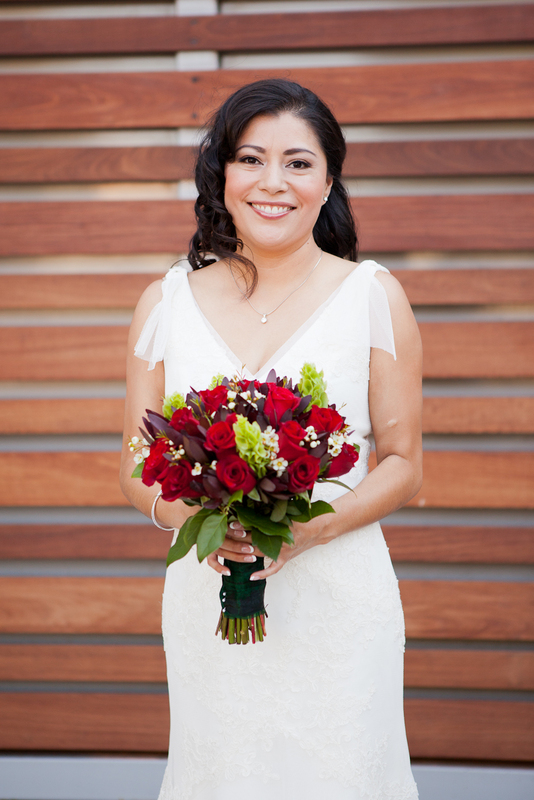 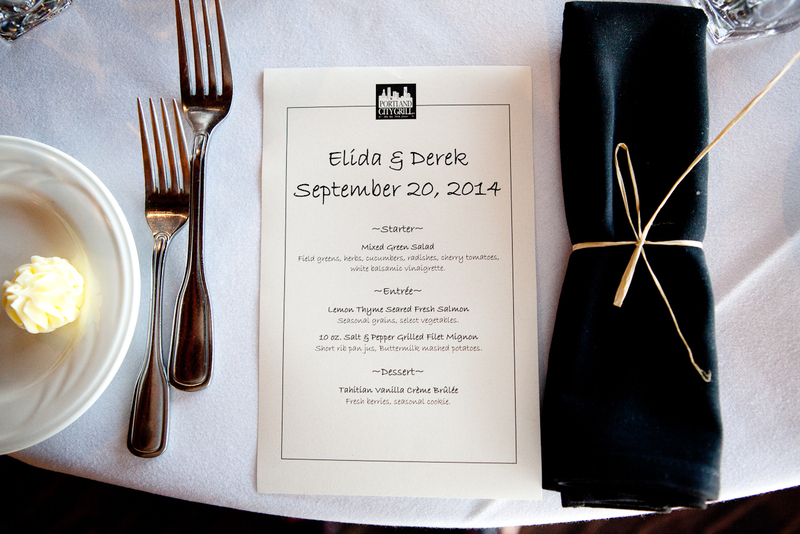 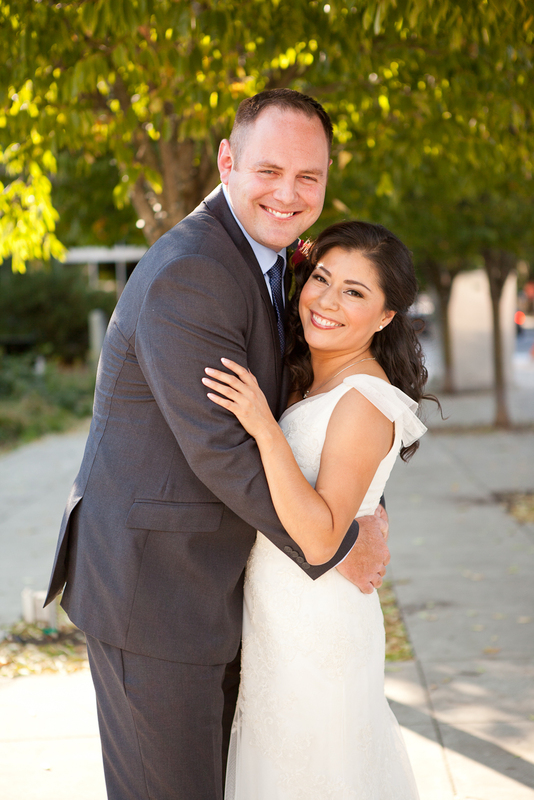 I was so happy to get to be a small part of Elida and Derek’s wedding day! 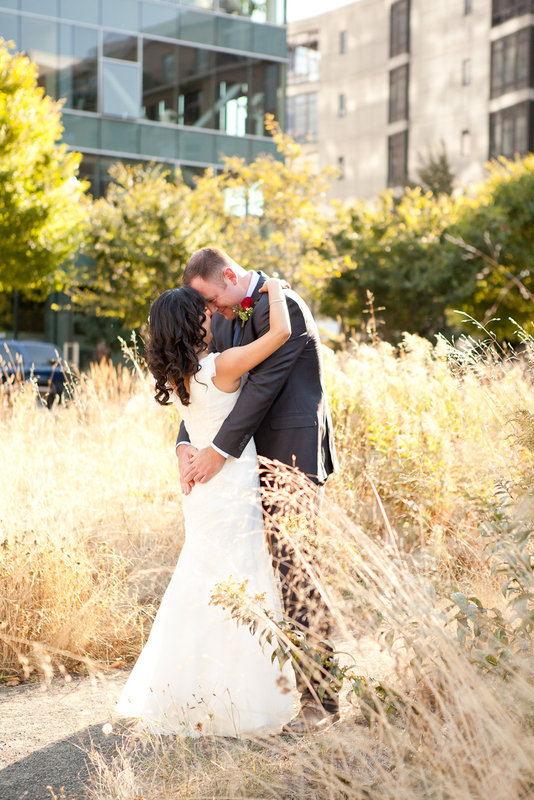 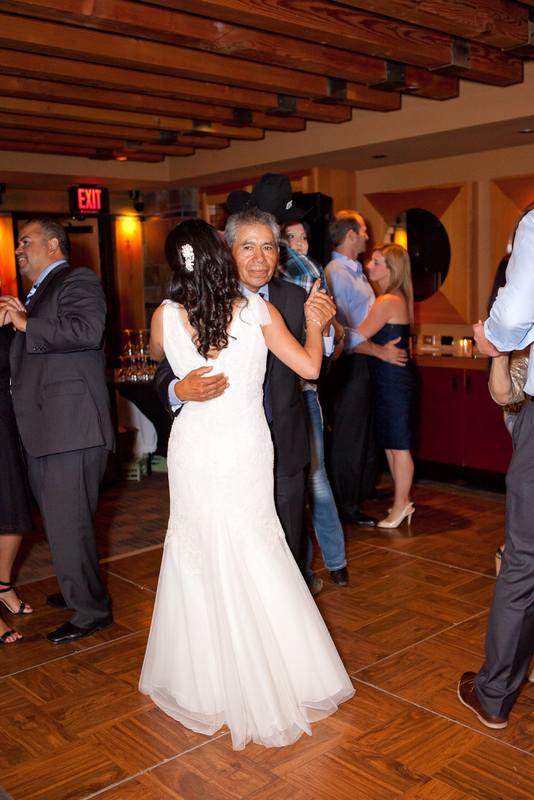 Some of my favorite wedding photos are below.